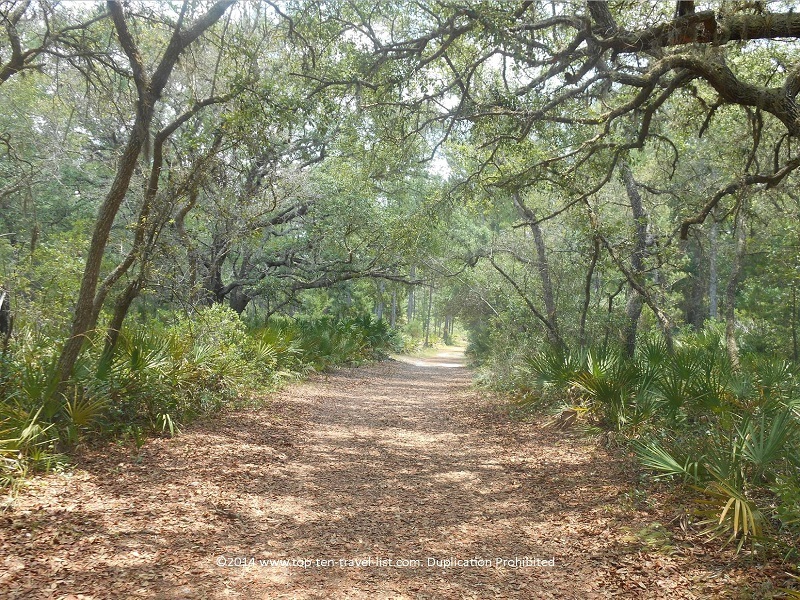 Escaping the Florida Heat and Crowds on the Beautiful Trails of Jay B. Starkey Wilderness Park - Top Ten Travel Blog | Our experiences traveling throughout the US. 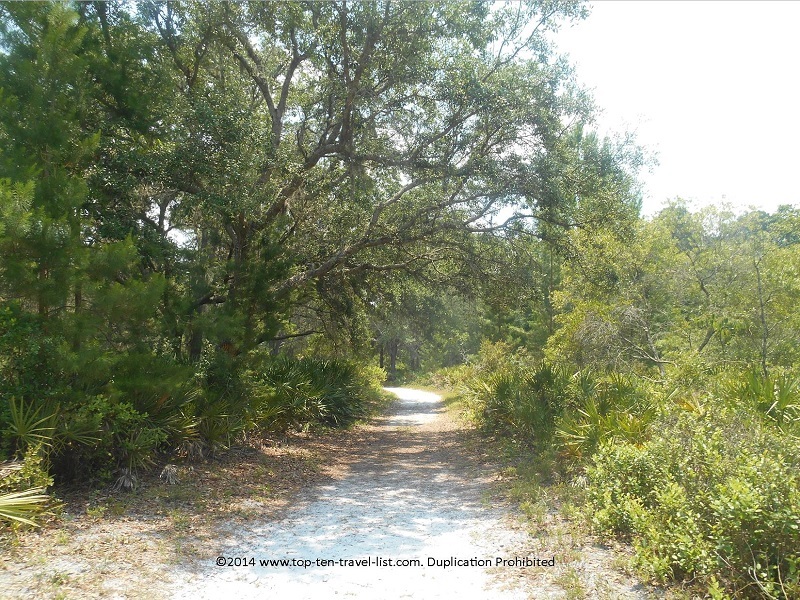 New Port Richey is home to several beautiful parks which allow you to take step back in time and walk through Florida as it used to be before everything was built upon. 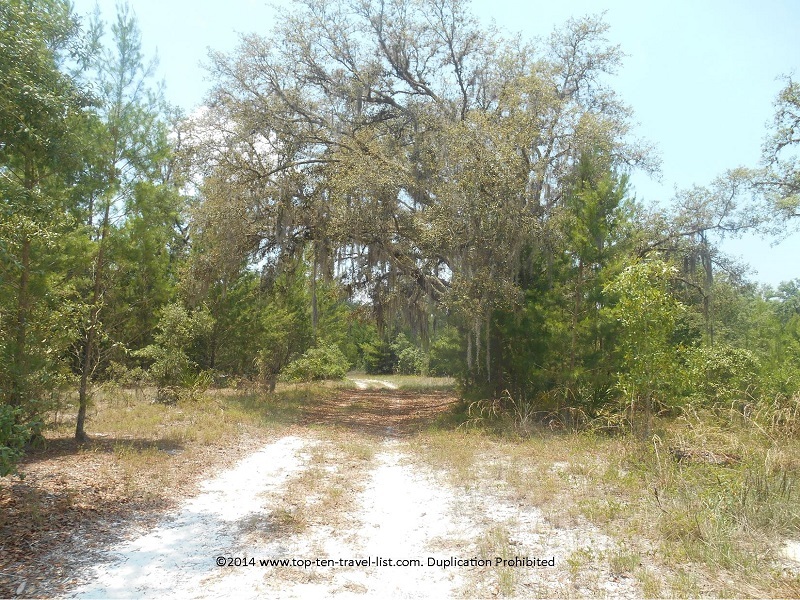 Jay B. Starkey, a gorgeous 8000 acre park, is home to an abundance of wildlife and beautiful natural lands (pinewood forests, marshes, lakes, scrub, sandhills, and swamps). 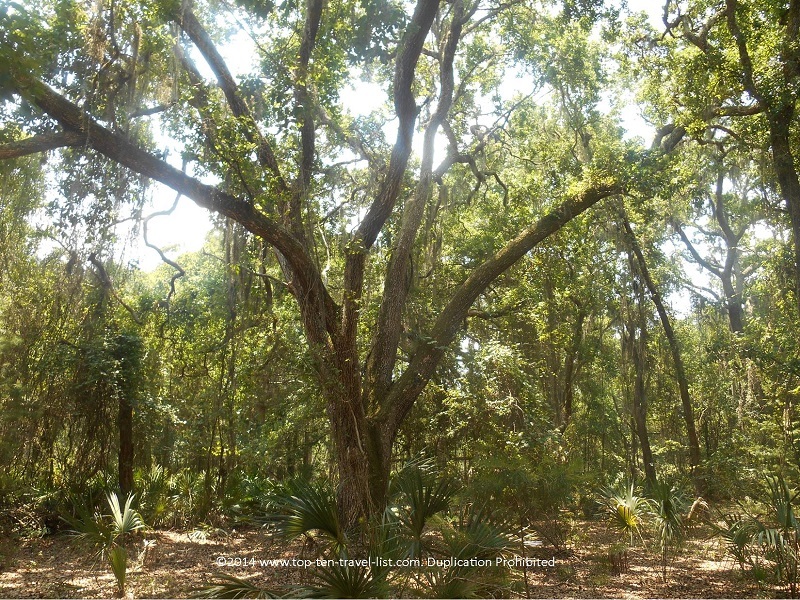 The park is one of the 500+ sites along the Florida Birding Trail, with ample opportunities for bird watching within the preserve. Sorry for the dark photo. 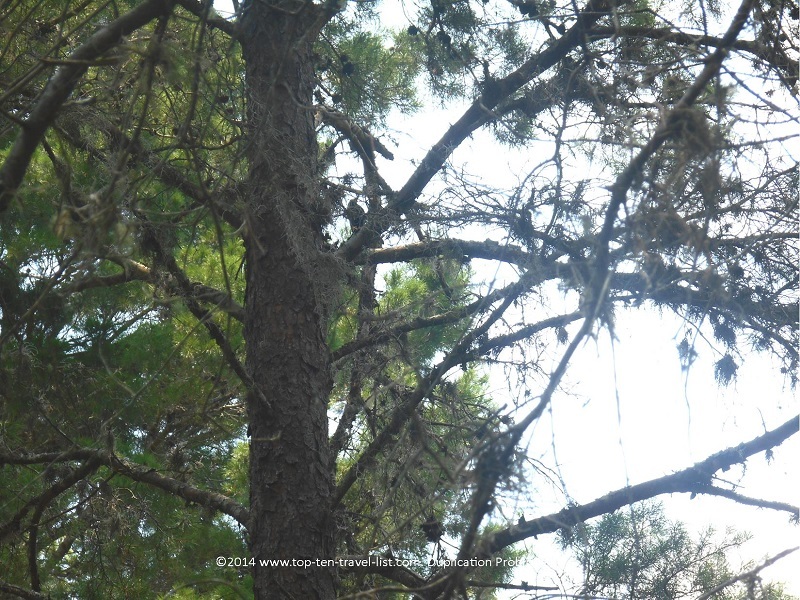 If you look closely, you can see the woodpecker in the tree. 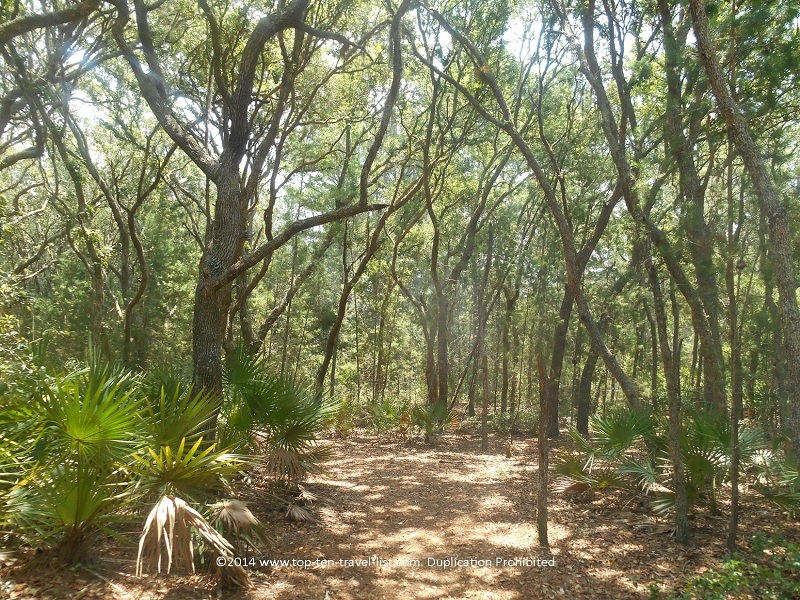 Jay B. Starkey includes 27 miles of marked hiking trails. Although we visited on an extremely hot day, normally this park would be great for escaping the extreme heat, not to mention take a break from crowded malls and attractions. There is plenty of shade coverage as you will see in the photos below. 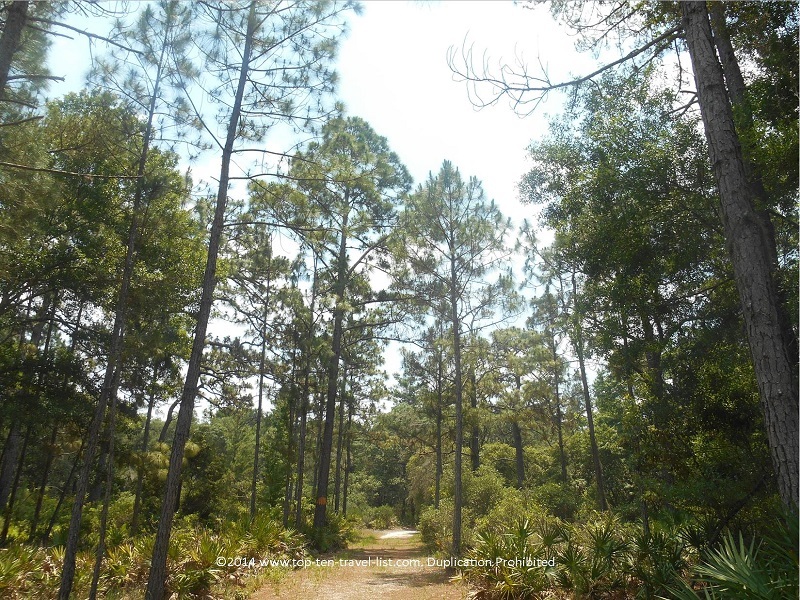 The beautiful pine forests offer the chance to get out and explore nature in an area where businesses and housing are continually replacing many of the natural lands. 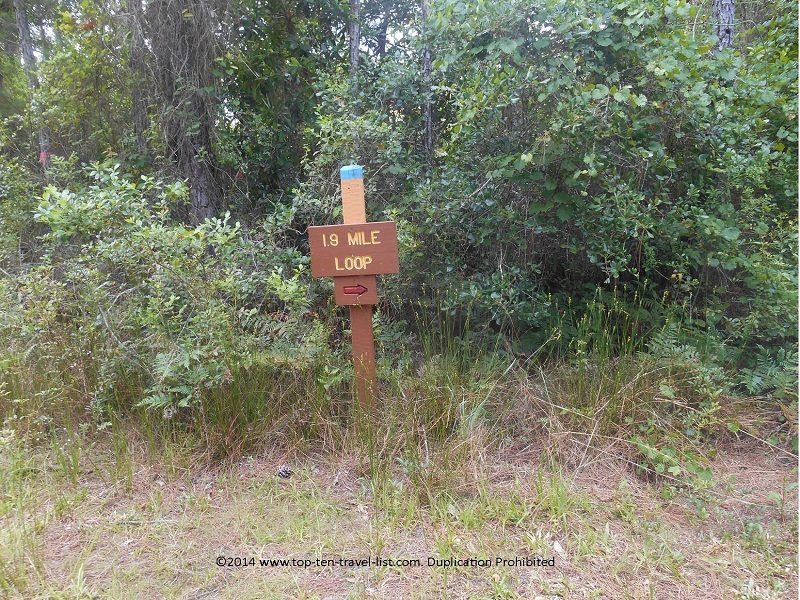 We completed a basic 1.9 mile loop; however, we would have liked to explore a bit more had the weather been cooler. 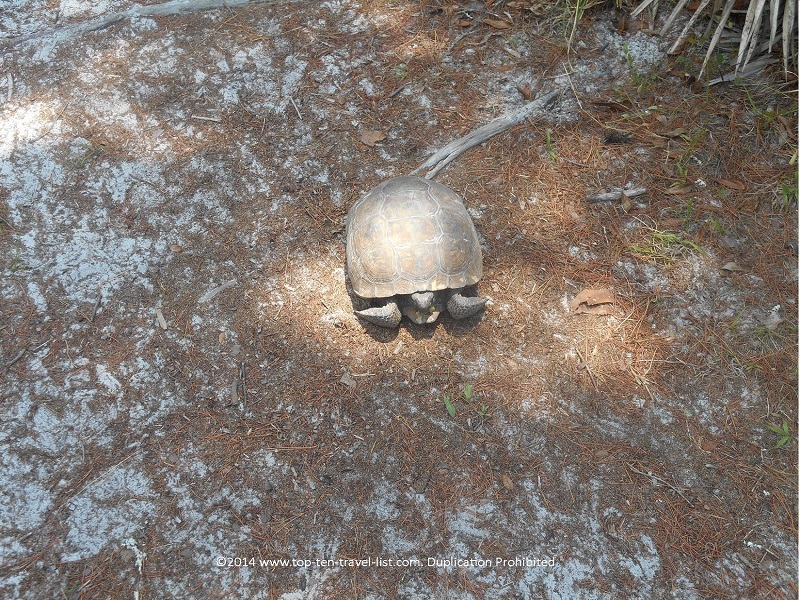 We encountered a few gopher tortoises, as pictured below. These turtles are huge! They are native to the Southeast and can be found throughout Florida parks (although they are currently considered a threatened species). It is unique to see them just walking along the roads and trails. 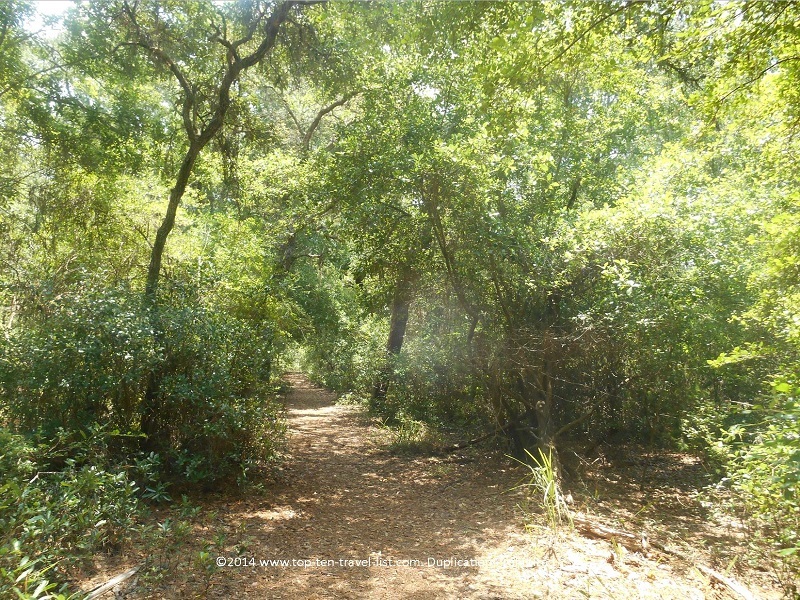 Jay B. Starkey is a great place for everyone, due to the variety of trails and activities available within the property. You can spend a few hours or a whole day here. Trail length varies depending on your skill level with part, half or all day trails available. You also have the option of enjoying a leisurely ride on the paved 6.7 mile (out and back) bike trail, which is also great for walkers. 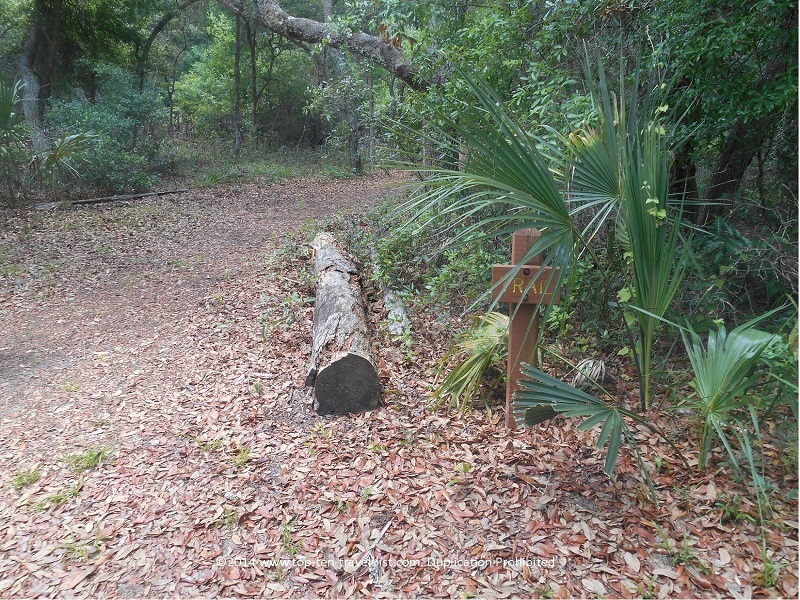 Additional activities within the park include: equestrian trails, picnic tables, primitive camping, and fishing. *Bring with plenty of water. There are no drinking stations near the trails. You will see many warning signs, such as the one posted below. In fact, I have never seen so many warning signs! *Bring your camera! 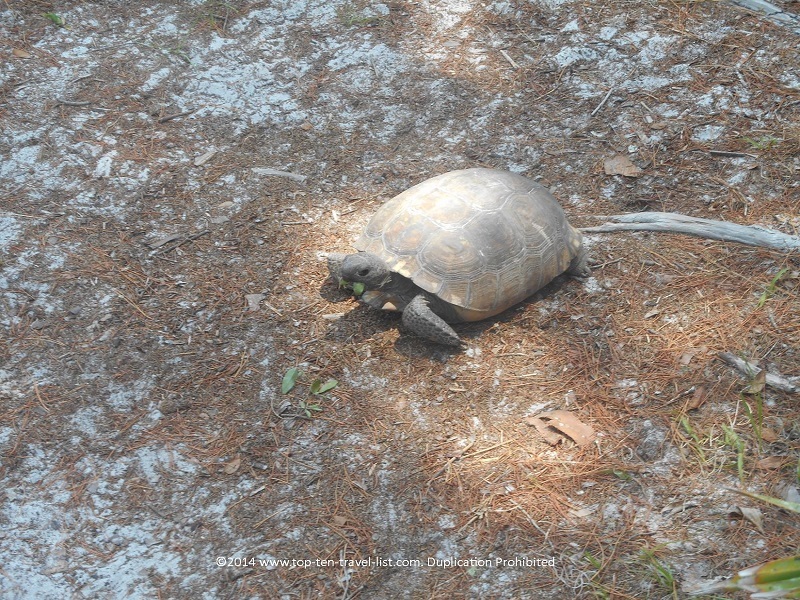 You may come across many different types of wildlife, including gopher tortoises, rare birds, armadillos, and more! *Plan hikes for the morning or late evening when temperatures are coolest, preferably in the cooler winter months. *Pay close attention to the signs you do not get lost along the way. If you miss a sign, you could end up doing much more walking than you intended. Follow the color coded marks on the trees and the loop signs. I recommend bringing with a GPS watch to track your distance. 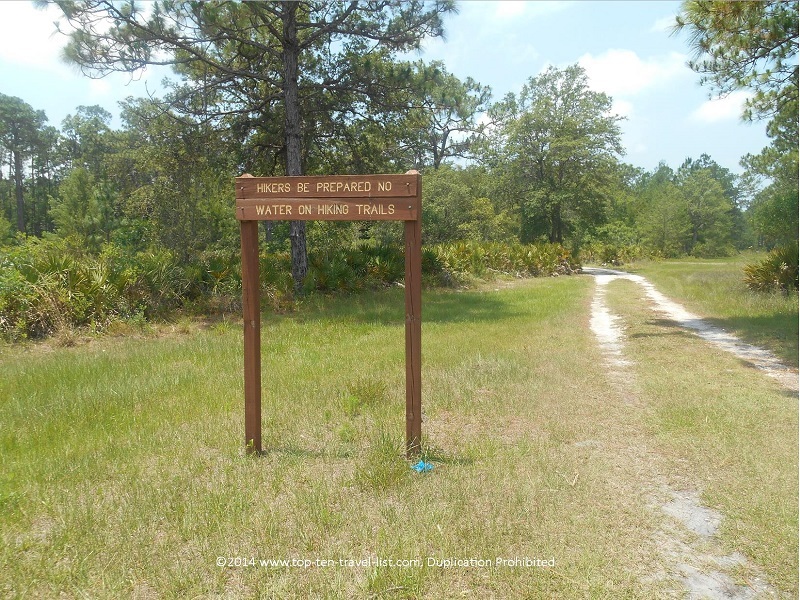 Jay B. Starkey Wilderness Park is located at 10500 Wilderness Park Blvd in New Port Richey. Parking is $2 for the day. You will pay at the machine and put a sticker in your window that is good for the entire day. Enjoy your day out and let me know how you enjoyed the trails and what wildlife you encountered! Feel free to post your experience below.